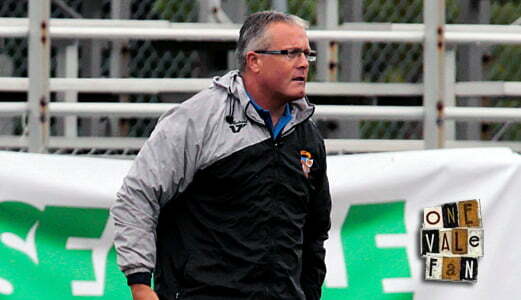 Port Vale have received a huge boost with the news that manager Micky Adams has signed his contract with the club. Adams told the official Port Vale website: “I’m delighted to have signed a new contract at the club, after extensive talks with the chairman I’m very happy to commit myself to the club again. “Next season we want to progress on what was a brilliant season last year, no-one wants to rest on their laurels we all want to push on and progress. 5 June 2009: Micky Adams is named as Port Vale manager beating John Ward to the job. In an unusual move, Adams gets the job after both Ward and Adams were interviewed by club sponsors Harlequin Property. 15 June 2009: Former Brighton midfielder Tommy Fraser is Adams’ first Vale signing, joining on a free transfer. 26 Aug 2009: Vale defeat Sheff Wed in the league cup after beating neighbours Sheff Utd in the first round. 28 Aug 2009: It is revealed that despite being at the club for three months, Adams has only now signed his contract as “legal complications” have delayed the process. 26 Sept 2009: After a bright start, Vale suffer three straight defeats prompting Adams to declare “We looked like a woman who had a big fur coat on but underneath she’s got no knickers on” and to put the entire squad on the transfer list. 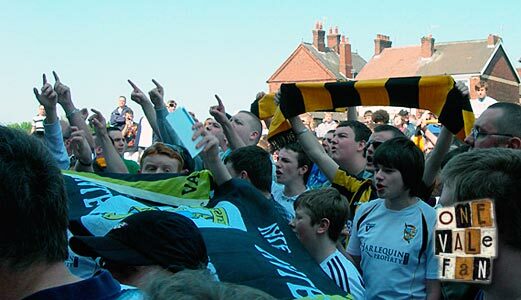 26 April 2009: Vale reach the play-off places for the first time but they eventually miss out after two defeats in their last two games. 10 Aug 2010: Vale defeat Championship side QPR 3-1 in the league cup with new signing Justin Richards scoring twice. 7 Oct 2010: Five wins in five sees Adams win the League Two manager of the month award for September. 9 Dec 2010: Vale top the League Two table. 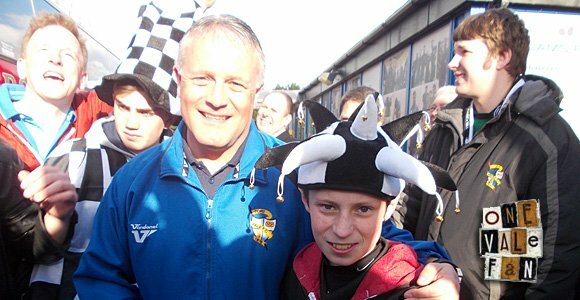 30 Dec 2010: However, Adams leaves the Vale with the club in second-place as he opts to join boyhood idols Sheffield United. 11 May 2011: After a disastrous spell at Sheffield United leads to his sacking, Adams agrees to return as Port Vale manager. 13 May 2011: On hearing the news, defender Gareth Owen reverses his decision to leave the club and signs a new two-year deal. 5 June 2011:Adams sparks controversy as he shores up the embattled board by agreeing to become a club director. It prompts criticism from fans who are opposed to the way the board of directors are running the club. 5 Nov 2011: Adams resigns as a director with sponsor Stan Meigh reportedly withdrawing his support of Adams’ directorship. 22 Nov 2011: Vale lose to non-league Grimsby Town in the first round of the FA Cup. 24 Nov 2011:Adams reacts by signing three players on loan. The signing of Jennison Myrie-Williams and Guy Madjo proves to be inspired with the pair scoring five times in their first three games. 3 Jan 2012:Adams accuses the board of a “u-turn” on promises of cash for players as he reveals his loan signings will not have their stay at the club extended due to the club’s precarious finances. 14 Feb 2012: A move for Chris Birchall is rejected by the Football League as the club is put under a transfer embargo for unpaid bills. 9 Mar 2012: The club enter administration. May 2012: With Vale in turmoil and unable to offer new contracts, Anthony Griffith, Sean Rigg and Marc Richards leave while Adams himself is linked with a move to Gillingham. July 2012: However, Keith Ryder is named as the preferred bidder by the club’s administrators and backed by an initial cash injection Adams signs seven new players including Chris Neal, Jennison Myrie-Williams and David Artell. But there is a twist, Ryder’s bid collapses and the players’ contracts are invalid. The club will have to start the season in administration, with a “temporary” first-team kit and as eighteenth favourites to go up. Against the odds, all the players, with the exception of David Artell, opt to remain with Adams and agree new deals with the club’s administrators. 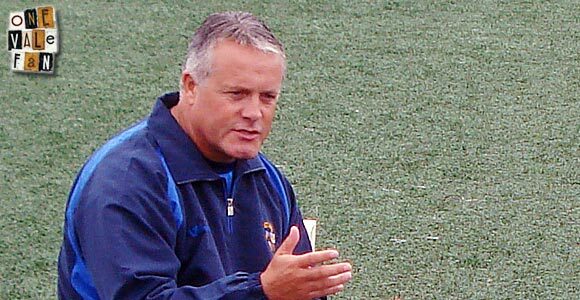 12 Oct 2012:Adams is named manager of the month for September after guiding Vale to second place in the League Two table. 14 Nov 2012: New owners Paul Wildes and Norman Smurthwaite take the club out of administration. January 2013:Adams strengthens his side with several signings including striker Lee Hughes. 13 Mar 2013: However, there is a major blip as Vale slump to a defeat at Bristol Rovers, Ryan Burge breeches club discipline on Twitter and Adams is verbally abused by a section of supporters. 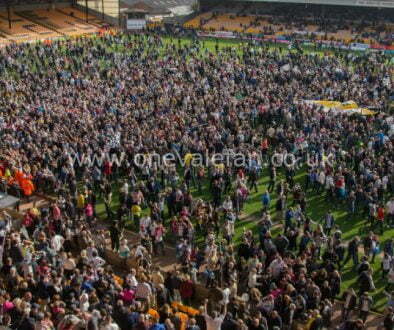 5 April 2013: Vale manage to turn their form around and a crowd of 10,978 witness a 7-1 demolition of Burton Albion. June 2013: Vale strengthen their side with the signings of Chris Lines and Carl Dickinson, amongst others. 22 Sept 2013: Rob Page takes temporary charge as Adams undergoes a hip operation. 31 Dec 2013: Vale finish the year in their highest league position since the year 2000. 3 May 2014: Following a 0-0 draw with Peterborough, Vale finish the season in a highly creditable ninth place but with Adams yet to sign a new contract, most fans are desperate to see the manager commit his future to the club. 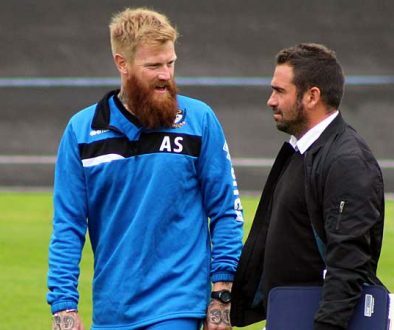 Later that month, Adams declares that he will stay at the Valiants, although the contract is yet to be formally signed. 9 June 2014: Adams signs a new contract with the club.